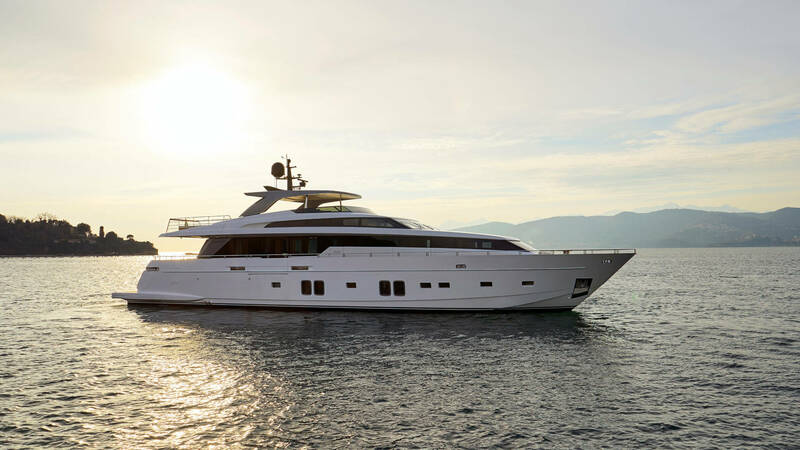 Delivered by Sanlorenzo in 2018, brand new Dinaia is the ideal yacht for summertime cruising. 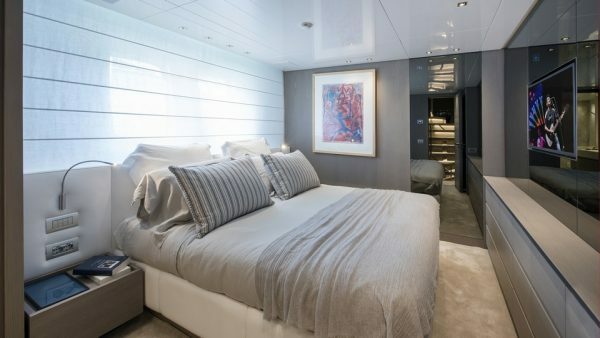 Featuring five cabins for up to ten guests, she presents in all guests’ areas fresh vibes that offer both relaxation and comfort. 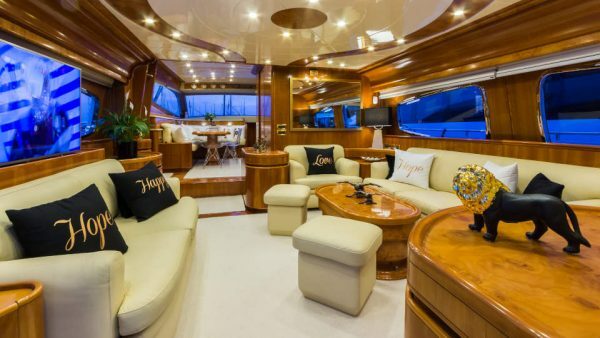 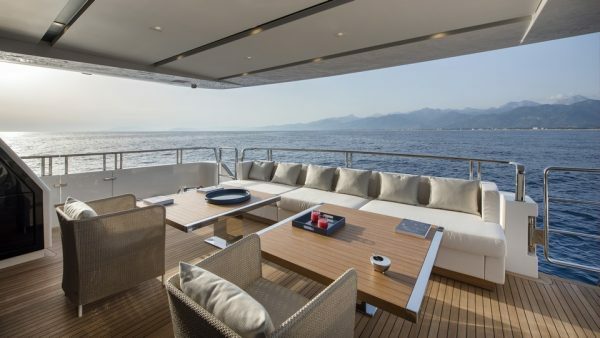 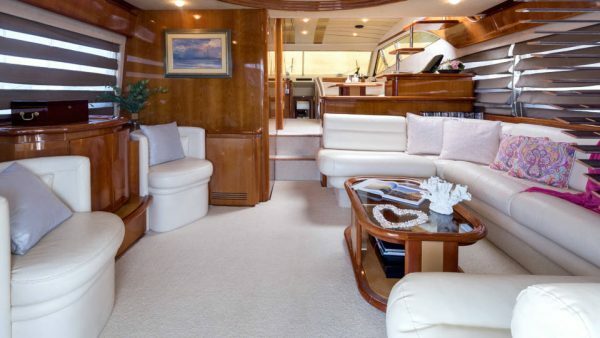 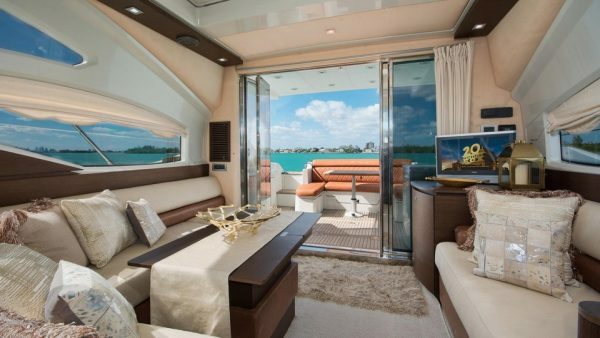 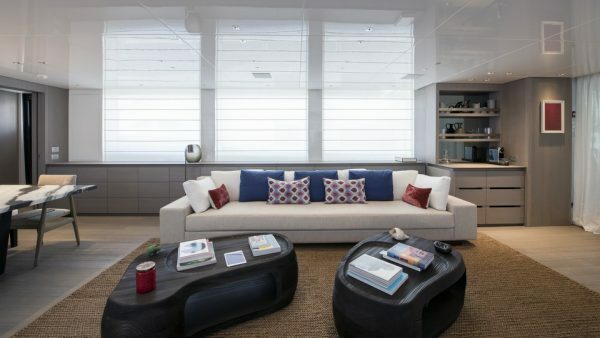 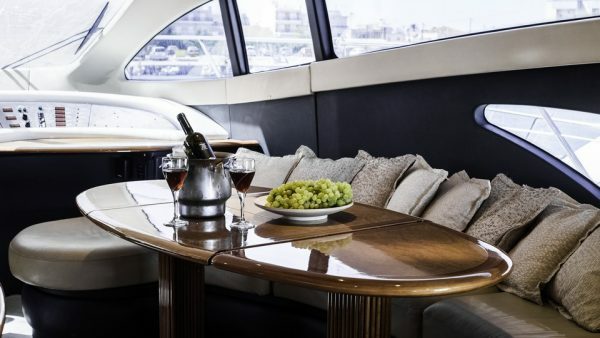 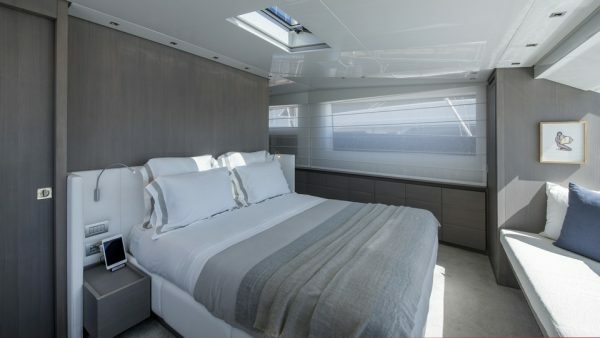 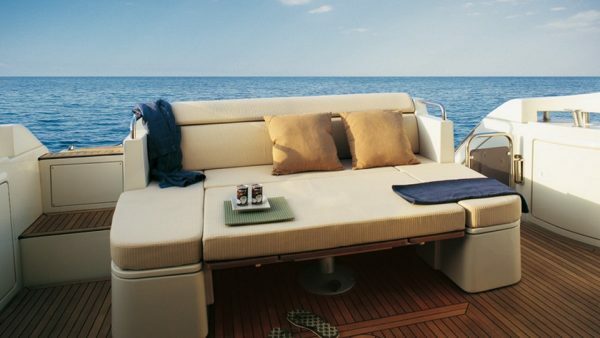 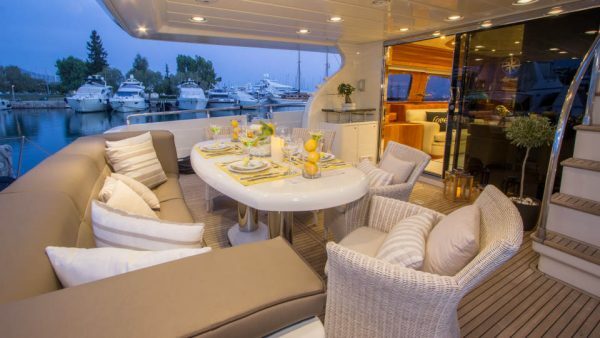 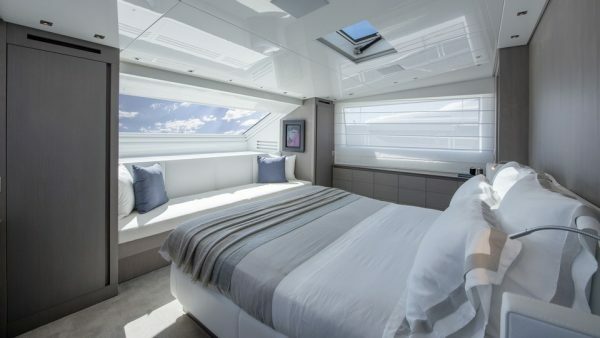 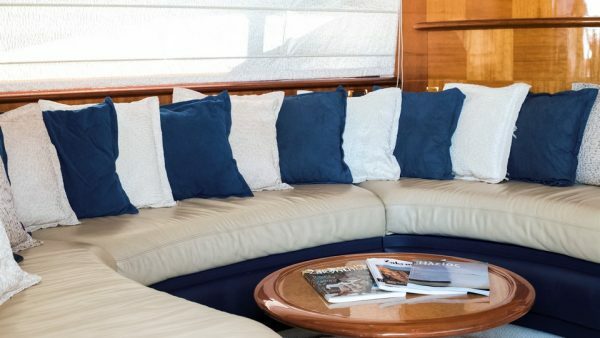 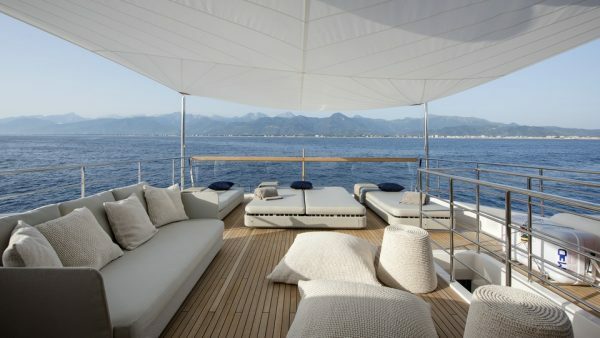 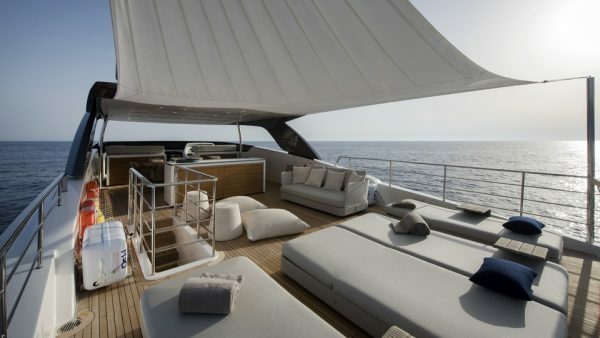 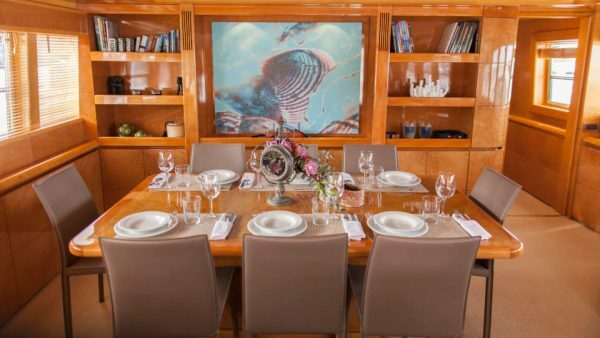 Her minimal decoration with beige and white colors creates a refreshing atmosphere throughout the yacht. 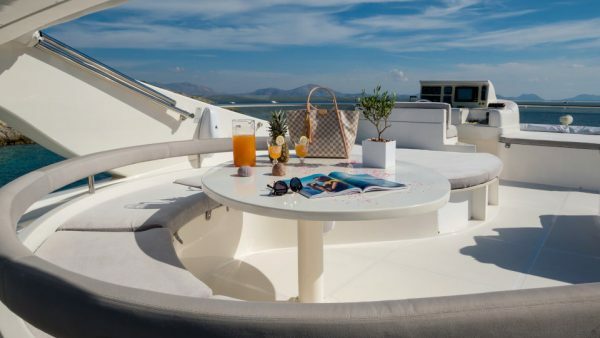 Boasting large sunbeds on the sundeck area, the guests can enjoy relaxing moments under the sun. 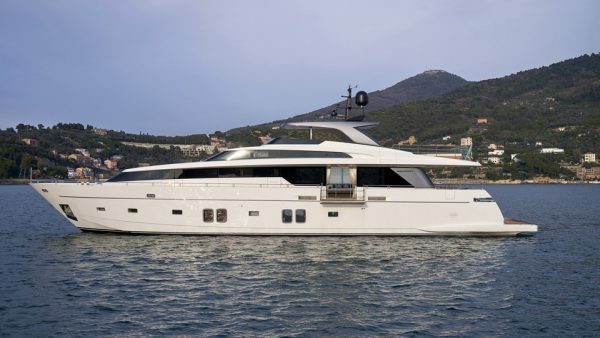 Motor yacht Lettouli III was built by the Technema Posillipo shipyard in 2007. 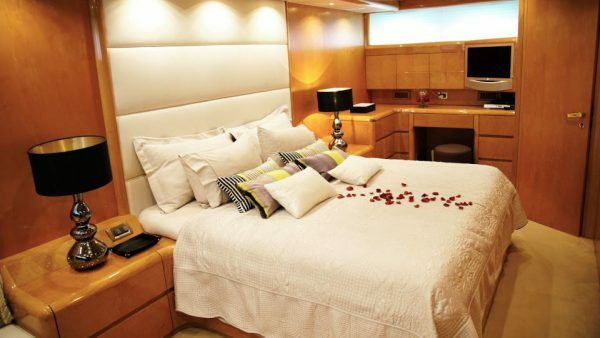 She presents a beautiful exterior styling coupled with a chic interior and provides fabulous living spaces onboard. 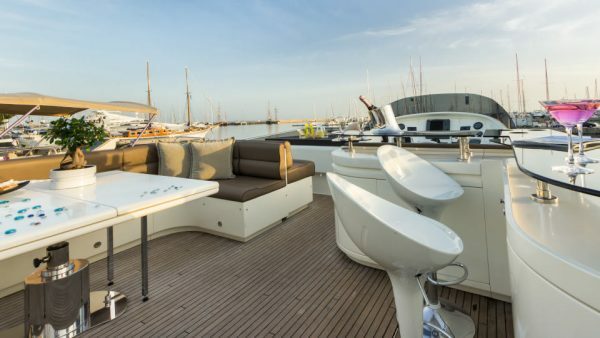 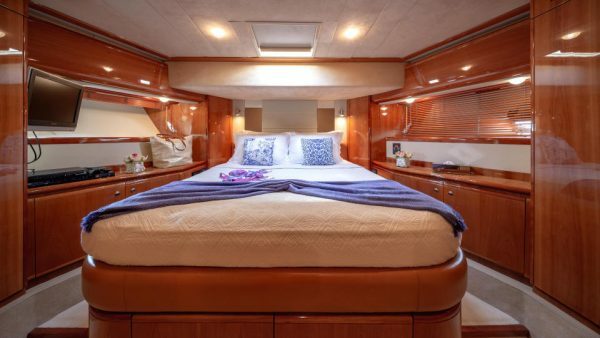 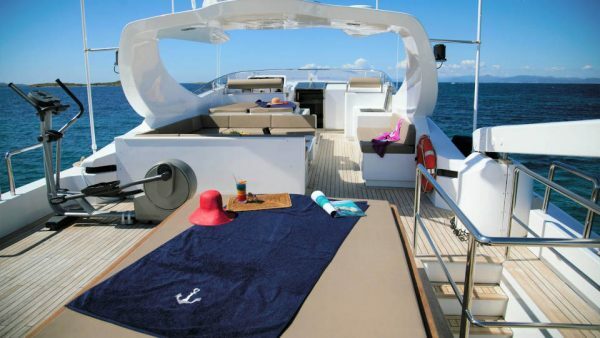 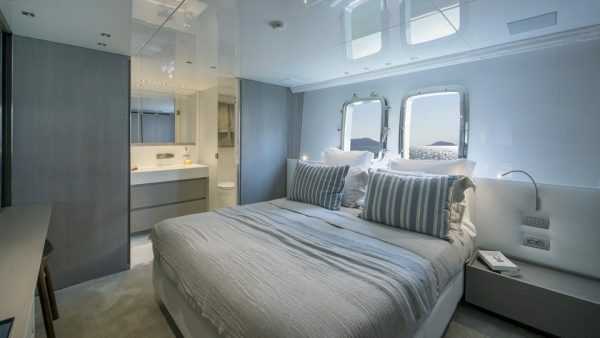 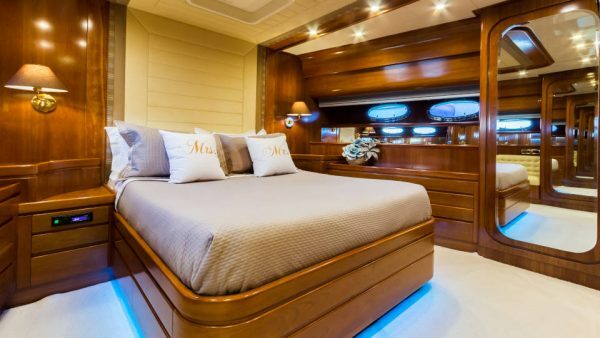 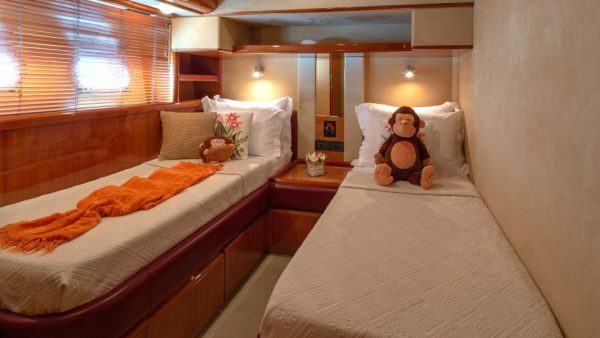 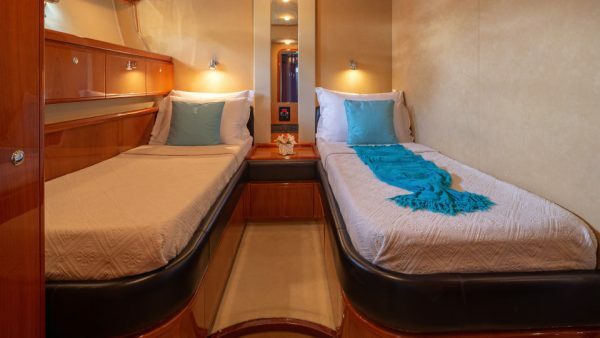 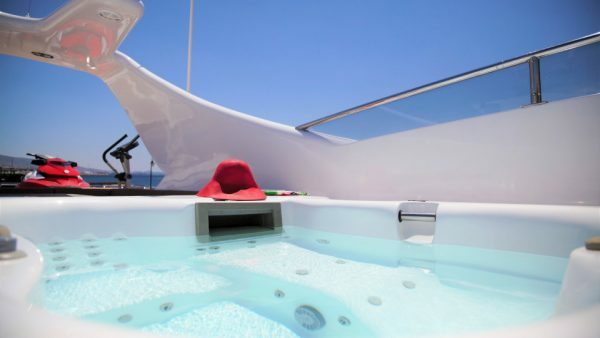 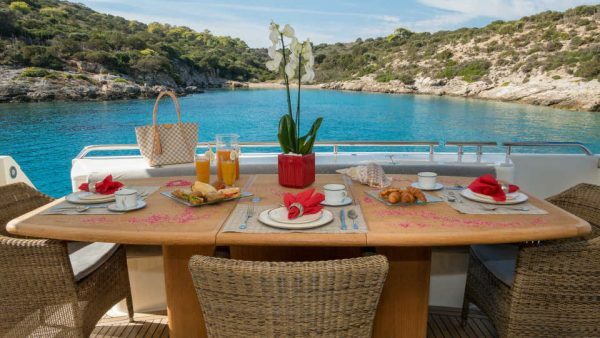 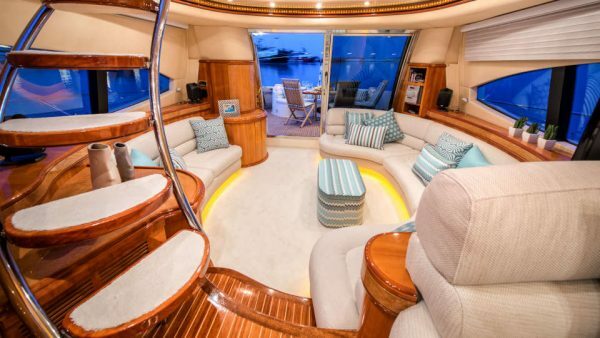 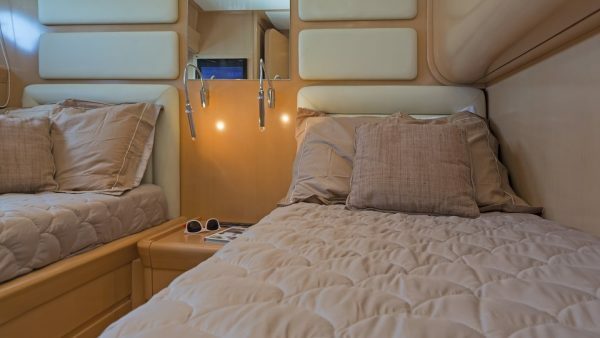 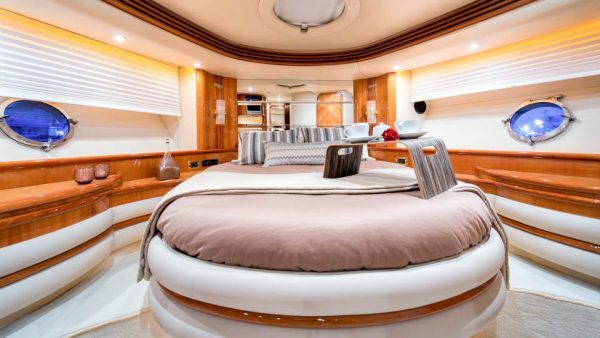 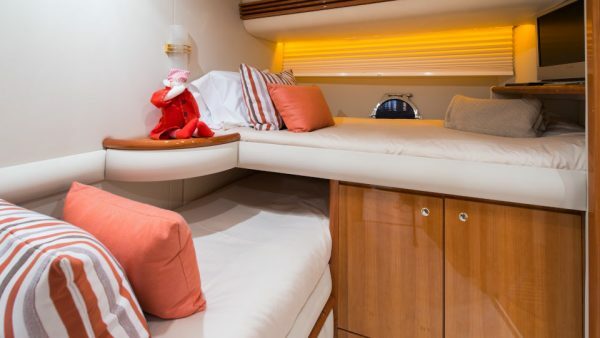 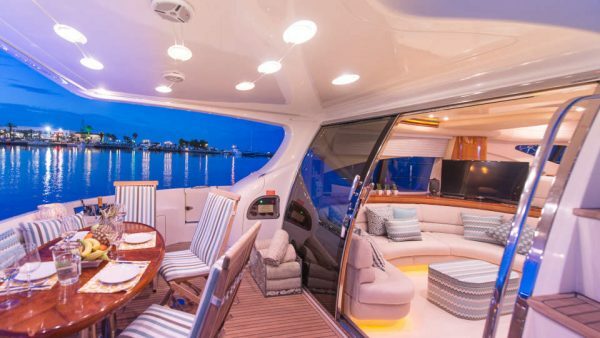 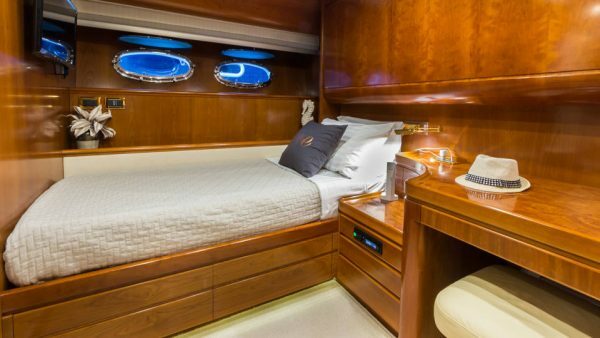 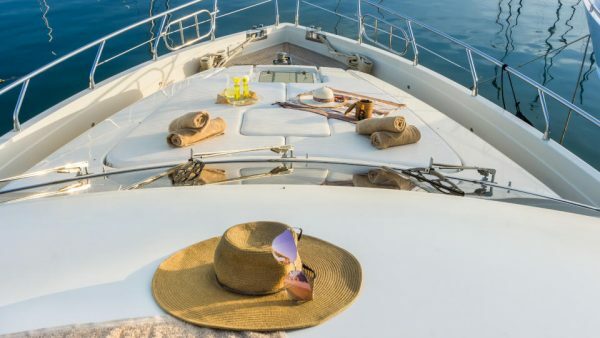 With large sunbathing mattresses, one at the fore end along with the second one on the flying bridge where lays the BBQ next to the dining table, these are a few of the things that will make one’s charter experience unforgettable! 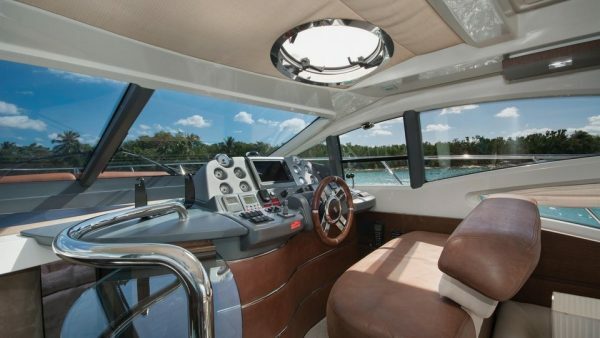 Azimut yachts have a great reputation when it comes to matchless design, comfort and style. 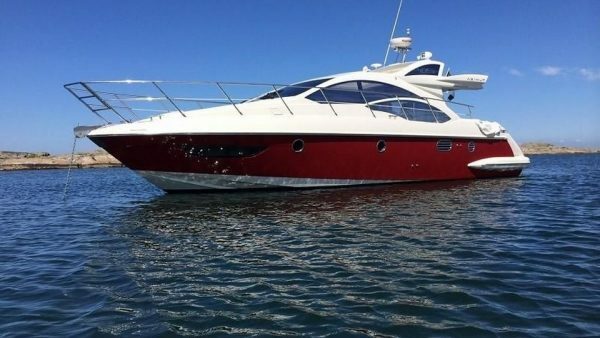 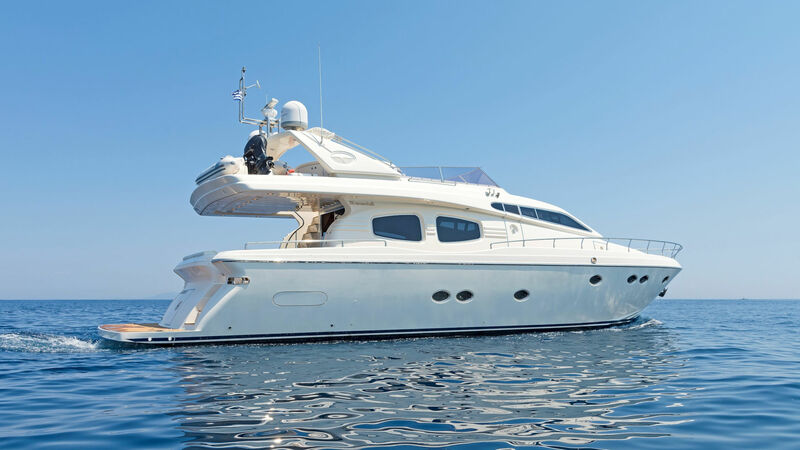 Azimut 43S, built in 2007, has been perfectly maintained to the highest standards offering accommodation for up to six guests in one Master cabin, one Twin and additional berths in convertible saloon. 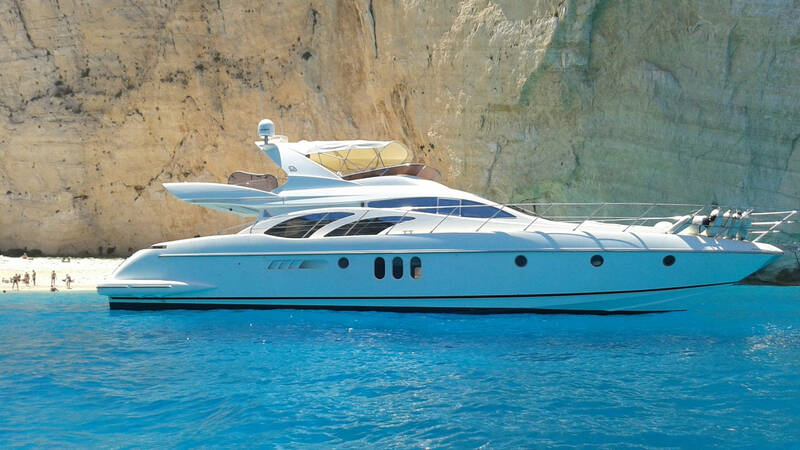 She is available for weekly and daily charters in the Ionian Sea. 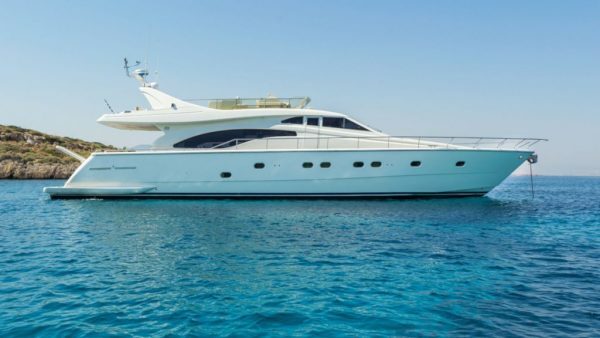 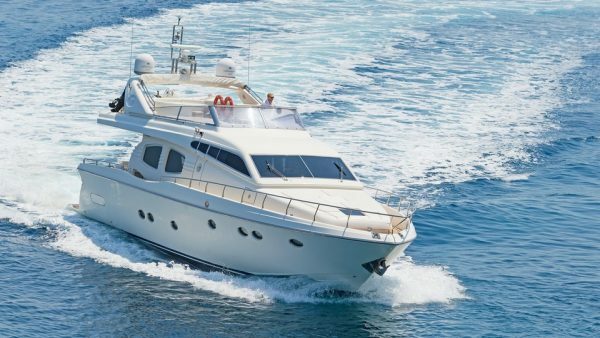 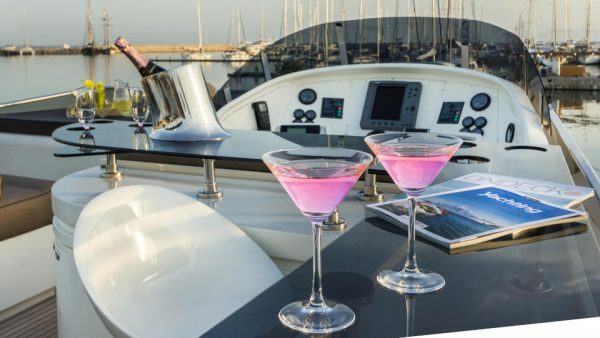 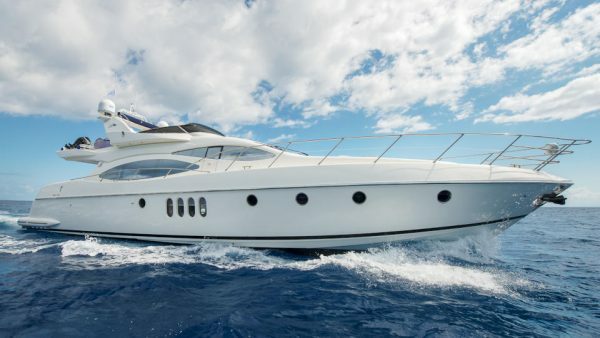 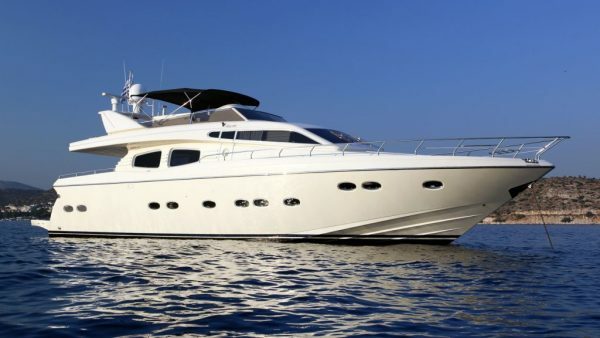 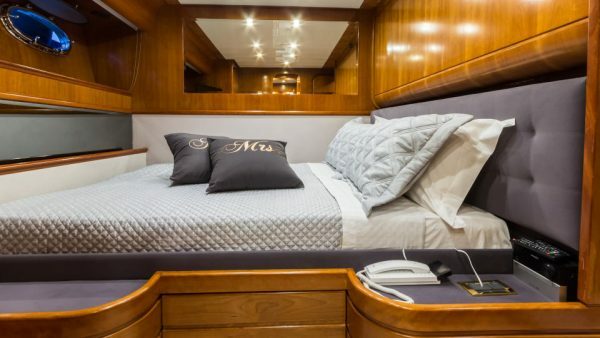 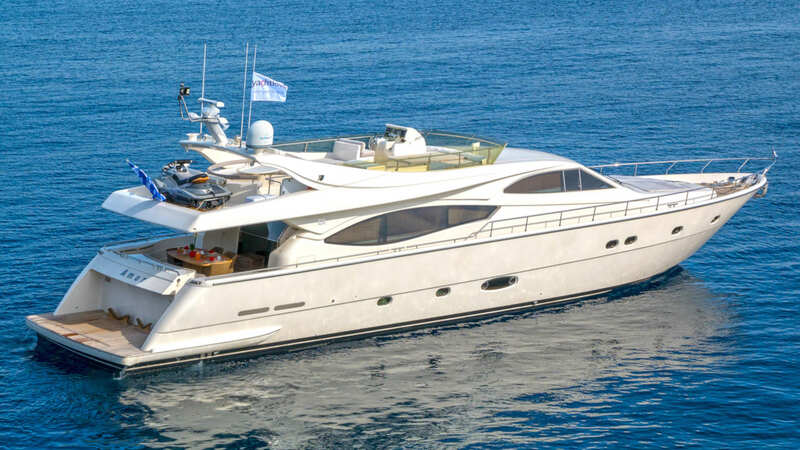 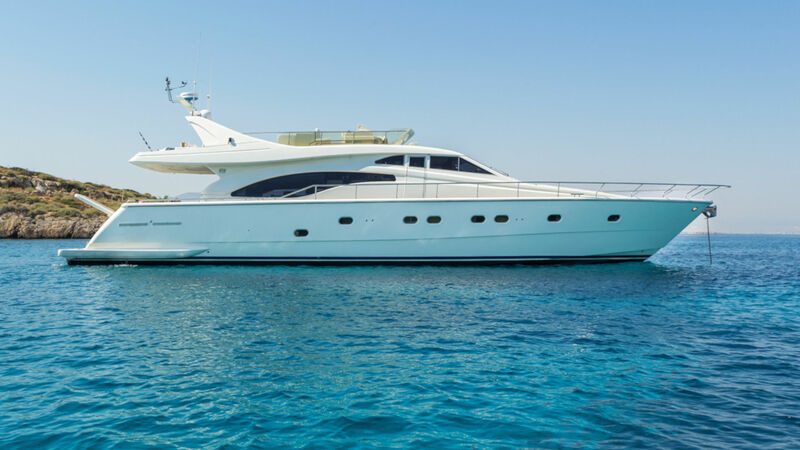 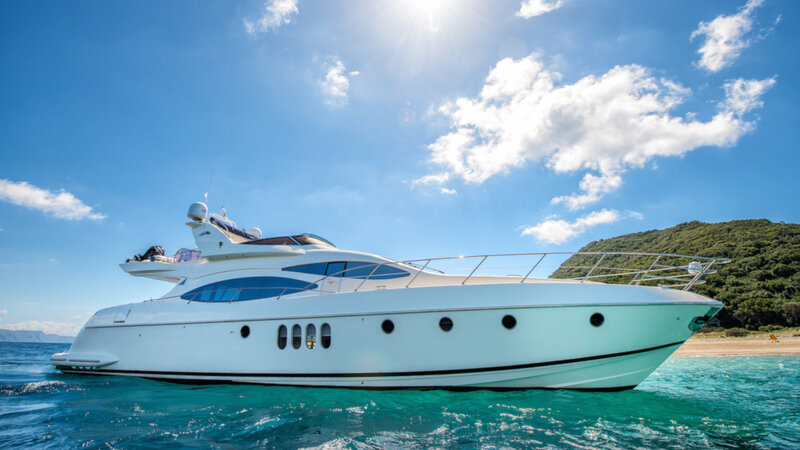 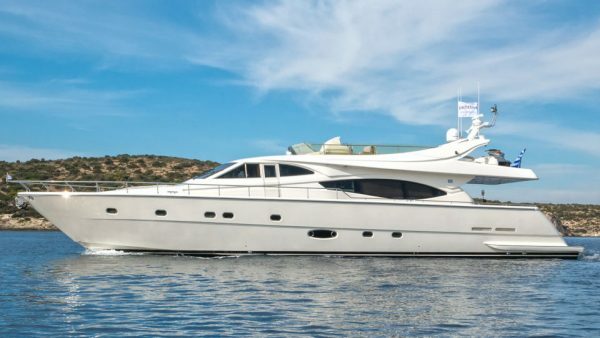 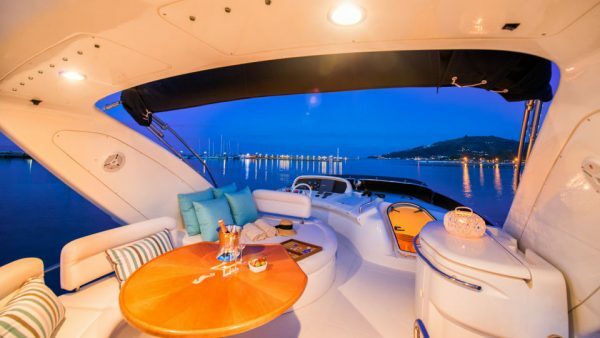 Athos is a well maintained Azimut based in the Ionian Sea and offering sumptuous accommodation for up to six guests in three well-appointed ensuite cabins. 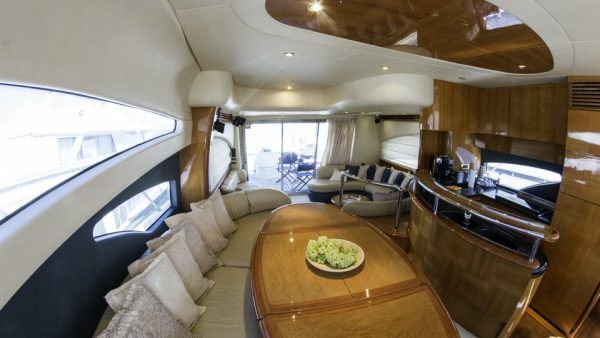 She presents an elegant decoration in contemporary style and ample spaces. She is available for weekly and daily cruises. 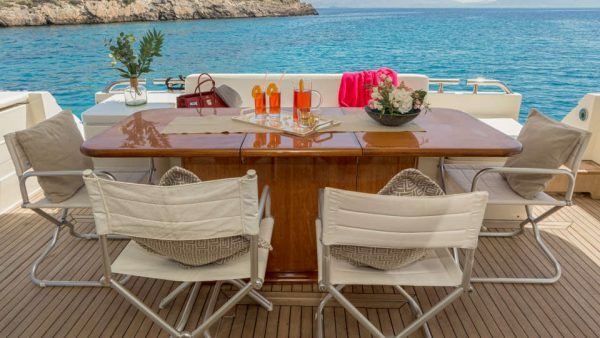 Amoraki, built by Posillipo in 2002 and recently refitted, offers comfortable spaces with modern decoration and elegant details. 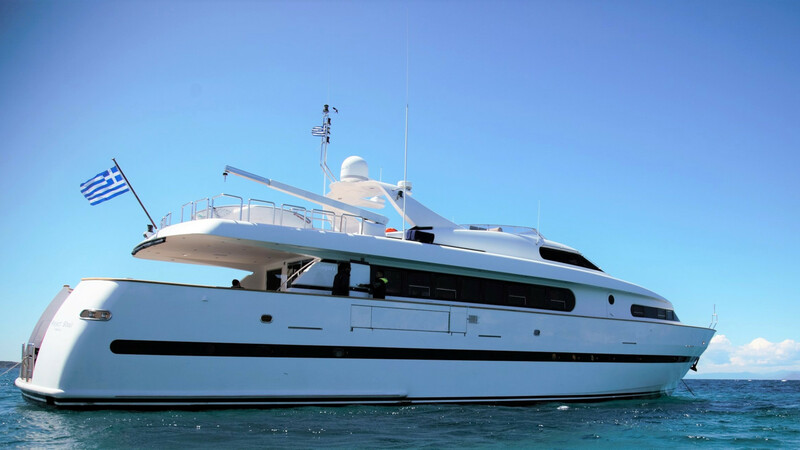 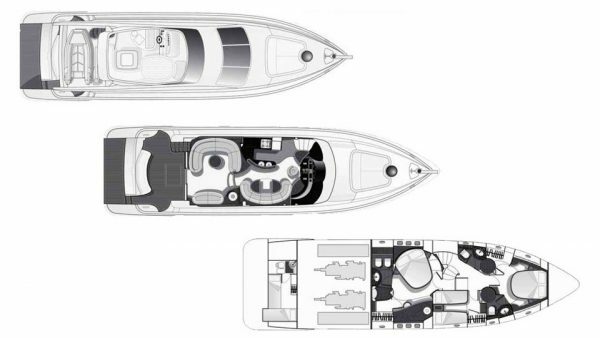 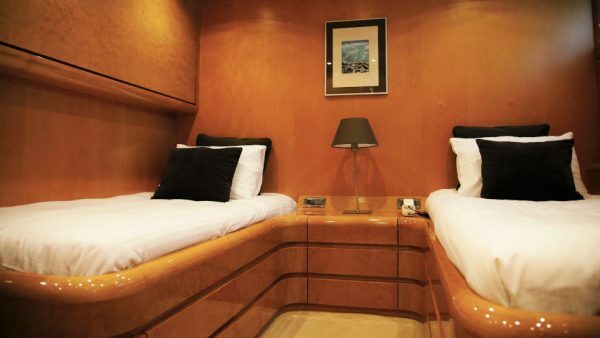 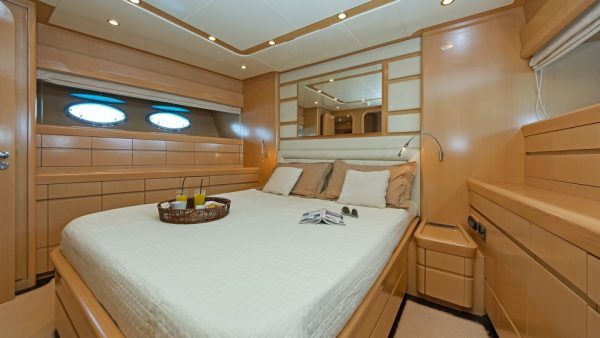 Her nice layout presents four cabins which accommodate up to 10 guests. 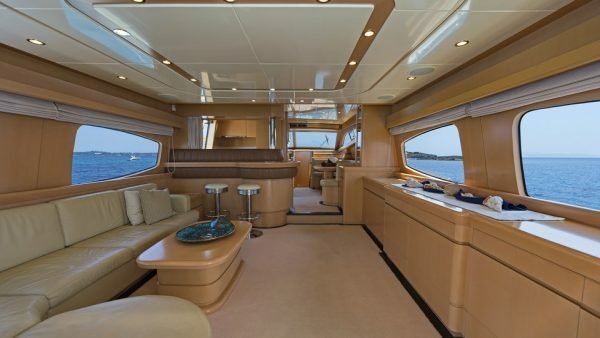 Amoraki features an open saloon with bar and 42’’ Plasma TV where guests can enjoy refreshing cocktails while watching their favorite movie. Her excellent crew of four will ensure a relaxed luxury yacht experience. 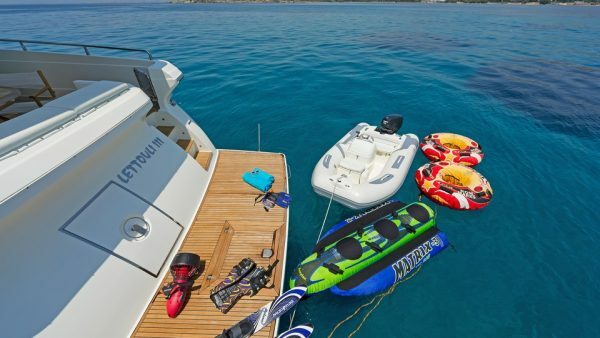 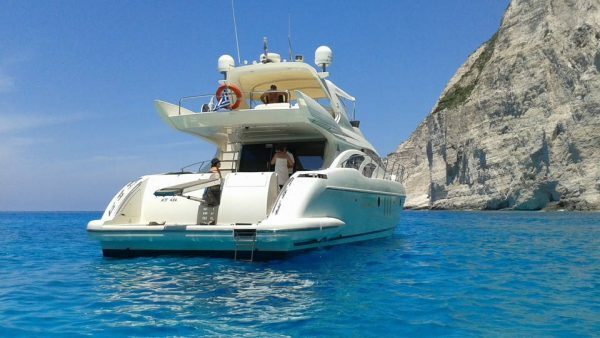 Manu, based in the picturesque island of Zakynthos, is an excellent choice for charters in the Ionian Islands! 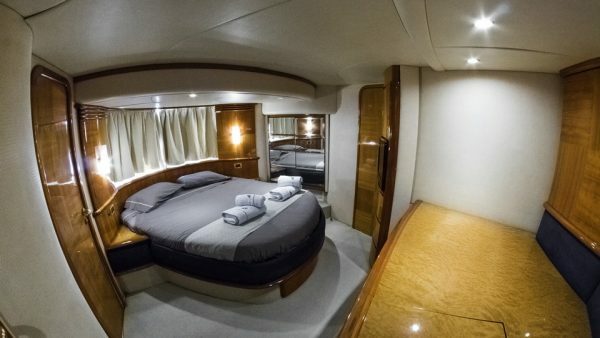 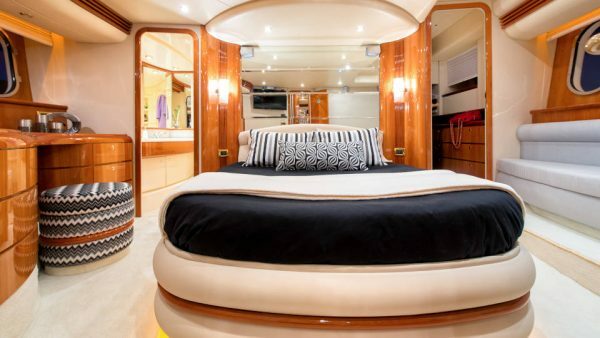 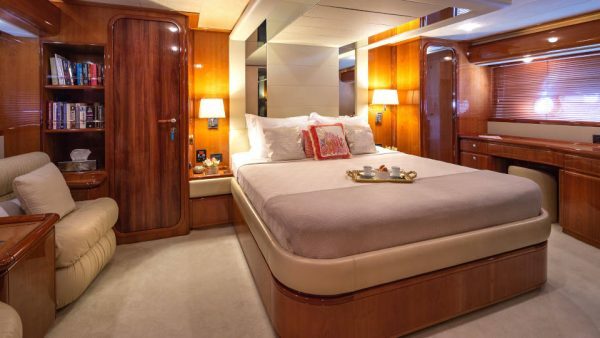 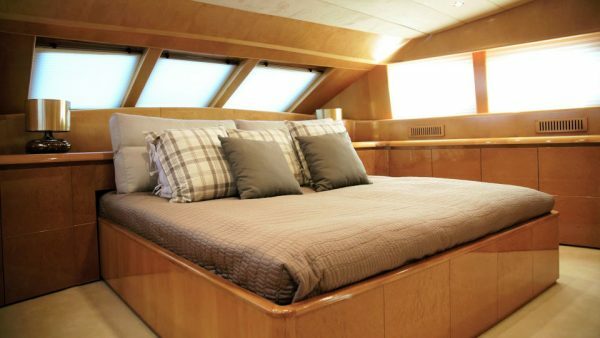 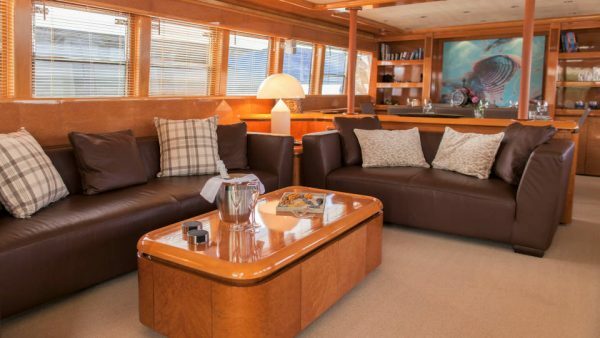 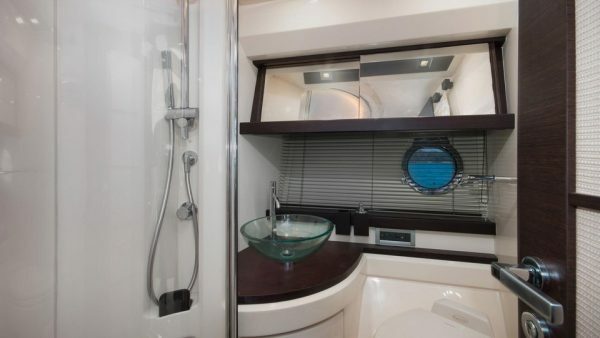 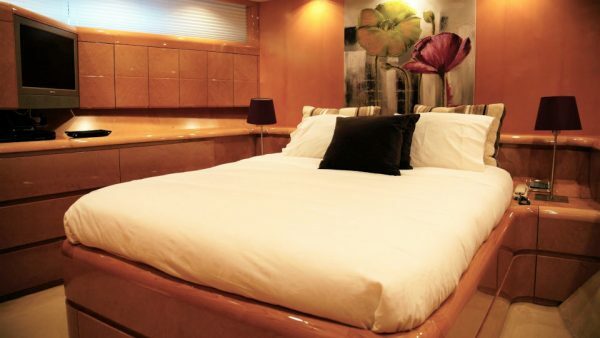 She was recently refitted presenting new teak and taps throughout the yacht and new carpet and curtains in the saloon. 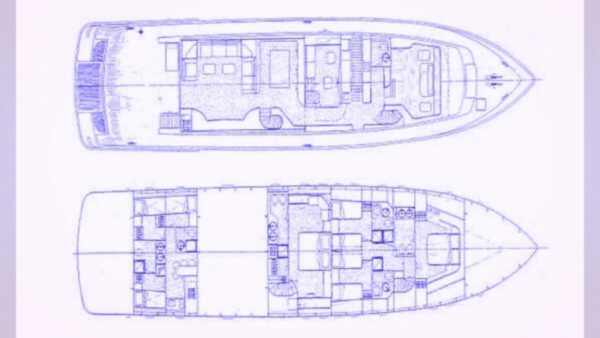 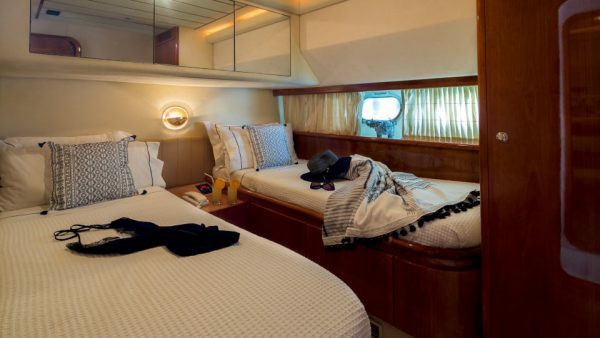 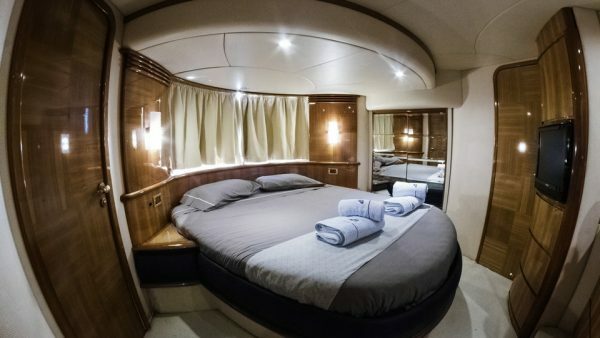 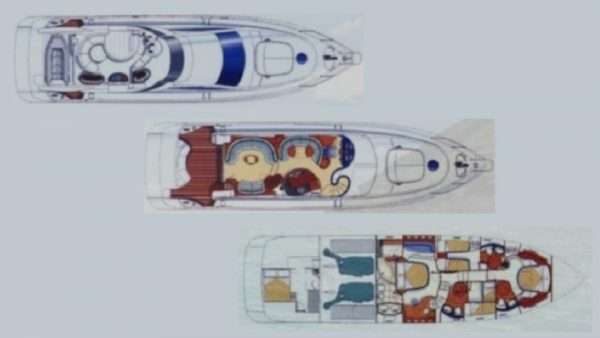 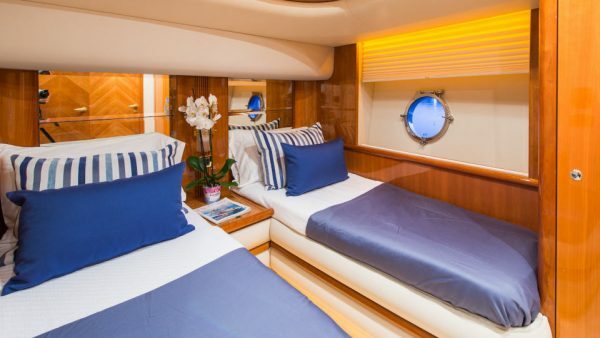 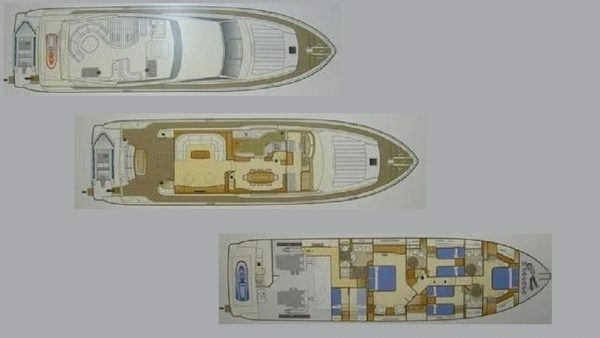 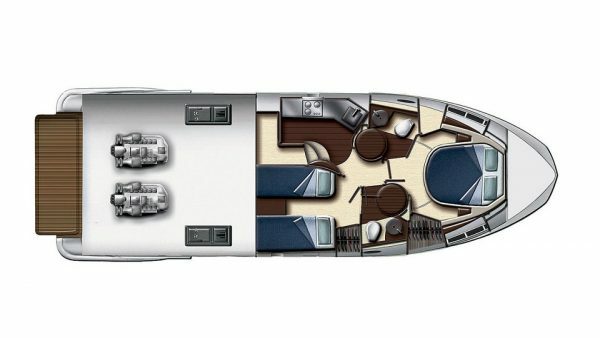 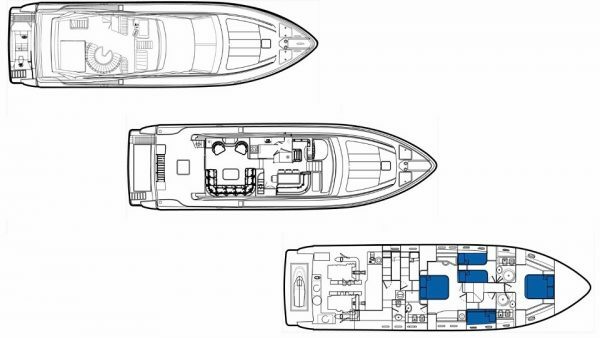 Her four modern cabins – one Master, one VIP and two Twin cabins (one of which with upper and lower beds) – accommodate up to eight guests. 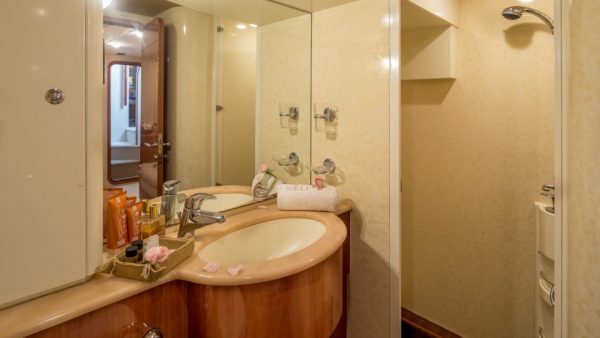 Her crew of two is very professional and will pamper the guests! 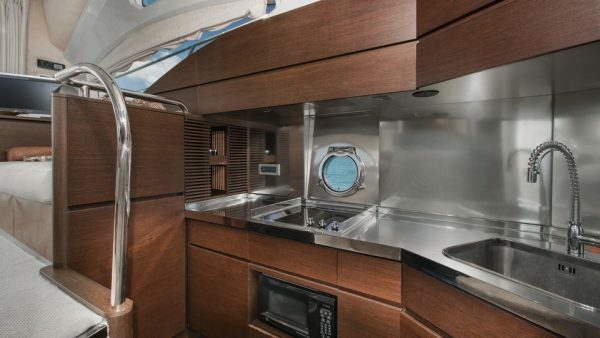 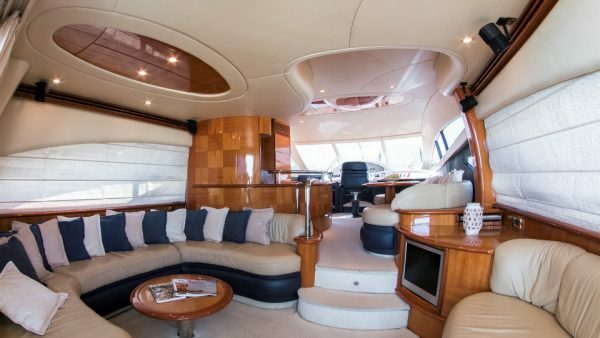 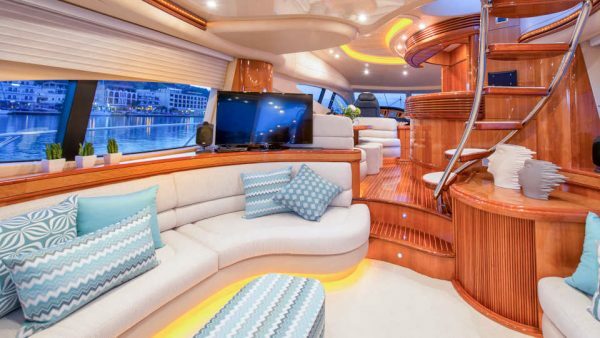 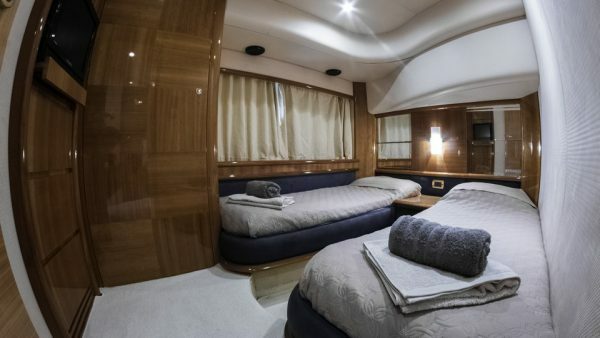 Meli, a stylish Ferretti 68, combines comfort and exceptional performance! 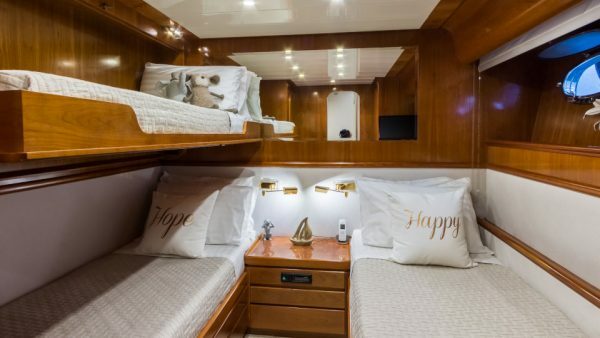 In 2018 she was refitted presenting new covers and pillows in all cabins, new carpets and alcantaras and a brand new Tender! 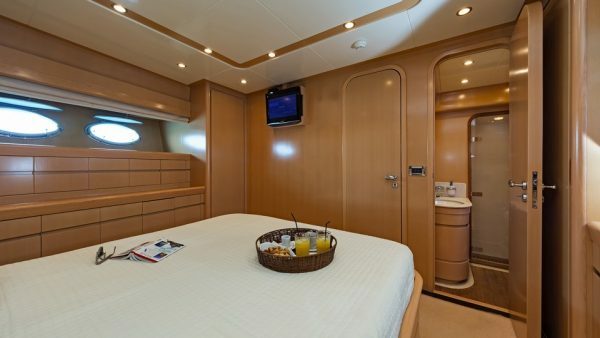 Meli features four elegant cabins, accommodating up to eight guests. 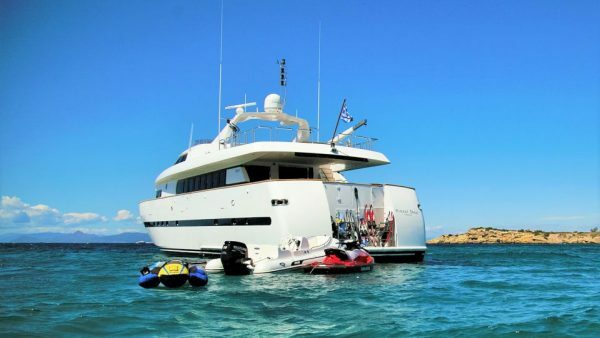 She is truly a unique motor yacht which promises an unforgettable cruising experience! 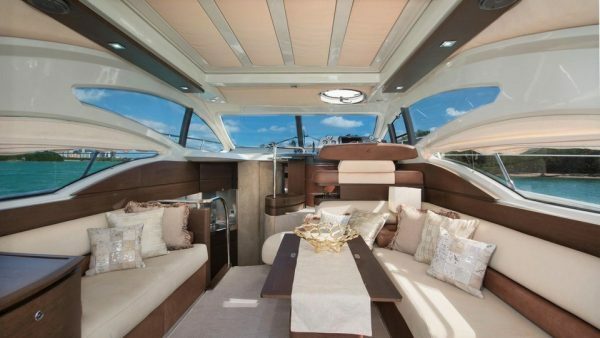 Amor, built by Ferretti in 2002 and last refitted in 2018, offers stylish interior design and spacious exterior decks. 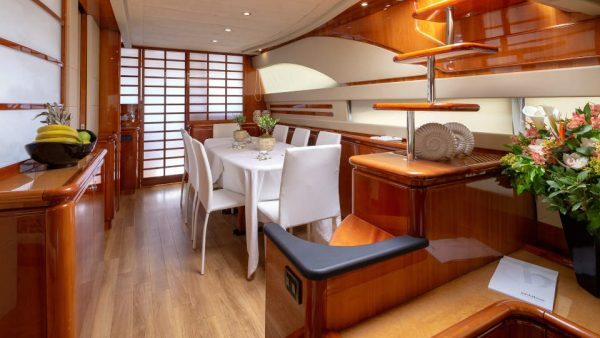 Her saloon features warm wood panels and neutral furnishings creating a warm and cozy environment. 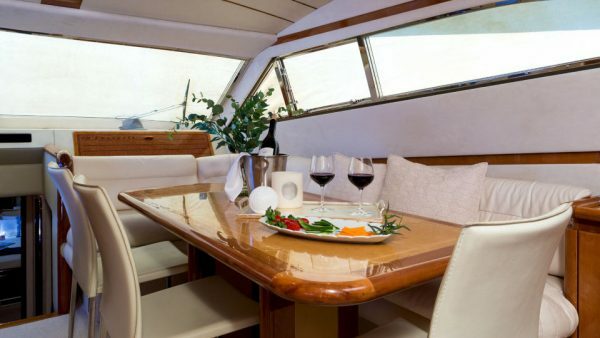 Guests can enjoy delicious meals at the formal dining table, forward of the saloon, or relax at the spacious sundeck. 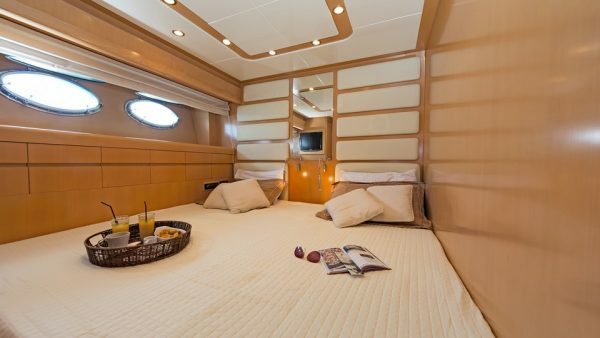 Her nice layout presents four comfortable cabins which accommodate up to eight guests. 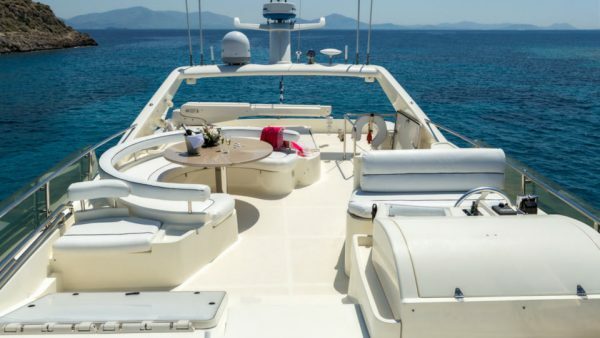 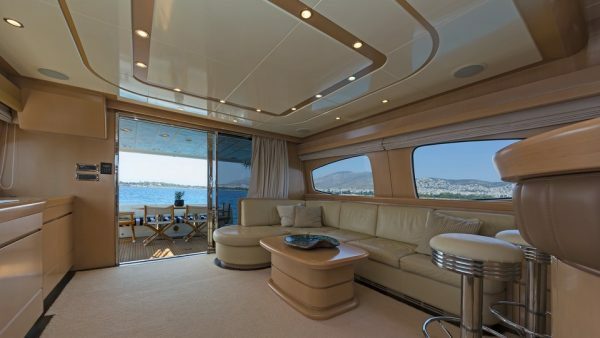 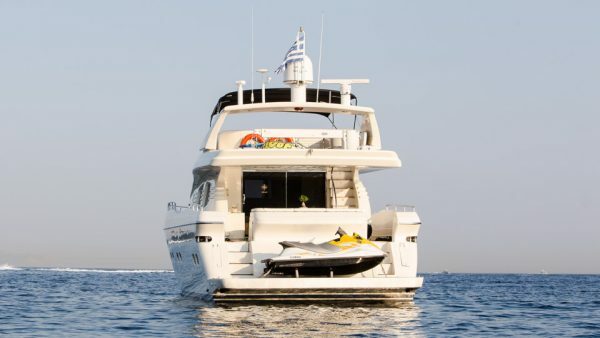 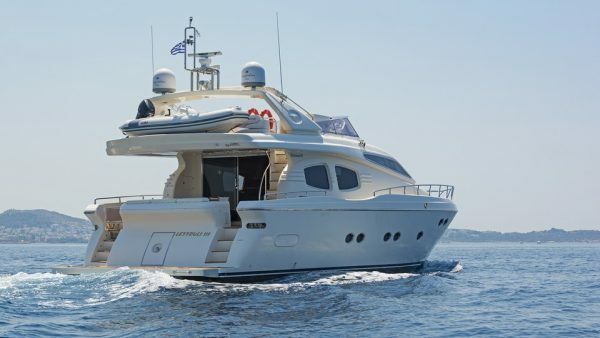 Amor, with an exceptional crew of four, is really ideal for cruising to the Greek Islands! 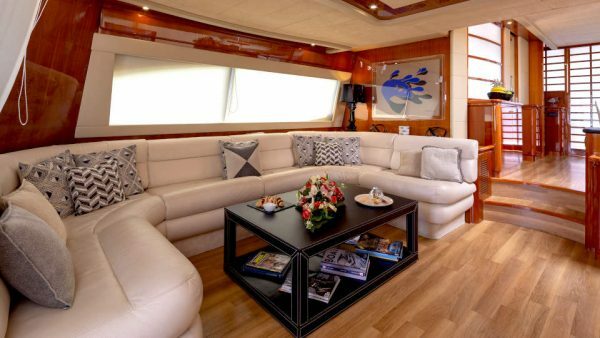 Project Steel built by Bugari shipyard was totally refitted in 2014, offering contemporary interior and spacious exterior areas. 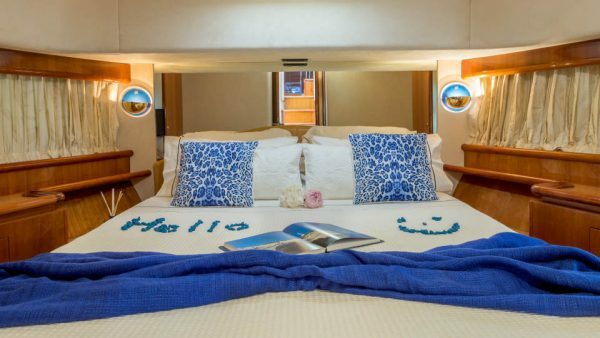 She presents a nice layout of five comfortable cabins accommodating up to 12 guests, one VIP cabin on the main deck and a full beam Master cabin, a further double cabin & two Twin cabins on the below decks. 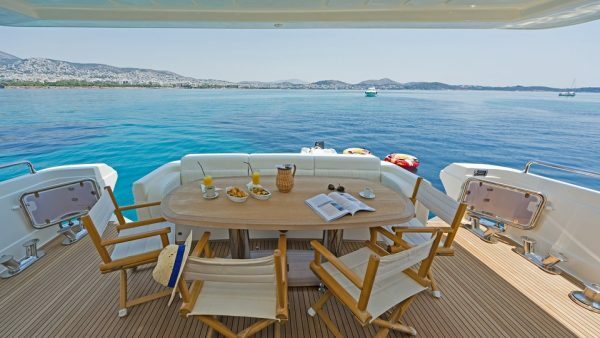 On the aft deck guests can dine at the alfresco dining area while on the sundeck there is a Jacuzzi perfect for refreshing dips.